DM #304: Assessment is EVERYTHING. Without it, you're just guessing, and often times simply throwing ? at the wall and hoping it sticks. You can be the “best” at adjustments, or soft tissue work, or corrective exercise prescription, but if you're going after the wrong thing it doesn't matter. Additionally, can we agree that the main way we're having an effect when we treat is via the nervous system?! To that end, your fancy technique is likely doing the same thing as that guy who keeps trolling you on social media claiming that his “system” is the best ? Some techniques may be more “efficient” at producing the desired outcome, but no one thing works for everyone, so it's kind of a moot point. Different strokes for different folks. ? ?‍♂️ So, please continue to grow your toolbox, but remember that the most important skill relating to that toolbox is the ability to know which tool to use in the first place (or if a tool is even needed!). And that, my friends, is 100% dictated by a sound assessment. Remember, a saw makes for terrible hammer. 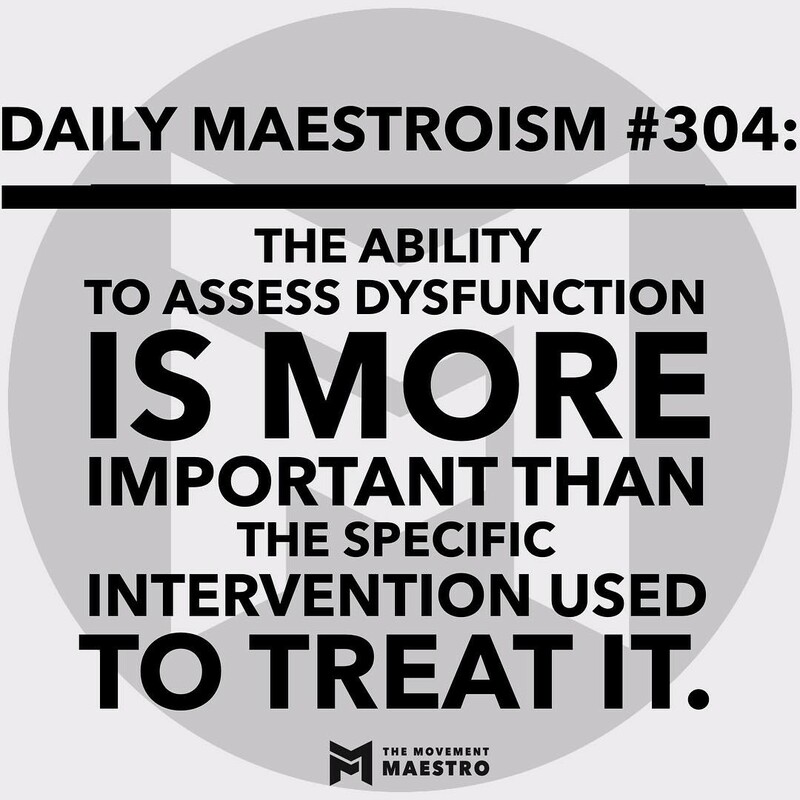 Daily Maestroisms dropping every night at 7pm-ish PST. Get yours. 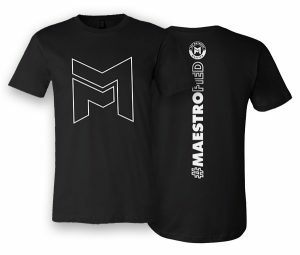 Be sure to follow The Movement Maestro on FB, Instagram, Twitter, and YouTube for all things #movement and #mobility related. Come move with the Maestro.